Health Canada says it will recommend 'plain water' over juice in the updated 2019 food guide in order to reduce sugar intake. Orange juice may not be part of your balanced breakfast much longer, at least according to Canada's Food Guide. Health Canada is proposing a change to a decades-long policy that equated half a glass of 100 per cent juice to a serving of fruits or vegetables. "Health Canada's proposed recommendations are for plain water as the beverage of choice, to help reduce sugars intake," Health Canada spokesperson Geoffroy Legault-Thivierge said in an email to CBC News. Critics say there is too much sugar in a glass of juice – even if it's from natural sources – because a portion contains more fruit than the average person would normally eat in a sitting. PepsiCo's Tropicana, for example, has boasted about "squeezing 16 oranges into each 59-ounce [1,700 ml] carton." But how many oranges does one person need? "Health Canada can say all they want that half a glass of juice [125 ml] is a serving size, but nobody is going to follow that," said Alissa Hamilton, author of Squeezed: What You Don't Know About Orange Juice. "No consumer considers that a serving ... a 12-ounce [355 ml] bottle is what consumers are used to considering as a single serving." Beyond portion control, Hamilton said the sugar in juice is digested differently than that of fruit. "Whole fruit has fibre, which slows down the metabolism of the sugar," she said. "When you're drinking the juice without the fibre, you get an insulin spike, and when you have too much insulin circulating in your blood, that's a precursor to diabetes." "The other thing about fibre is that it fills you up," she said. "There's nothing to fill you up with the juice. In fact, it stimulates appetite, versus fibre, which suppresses appetite." 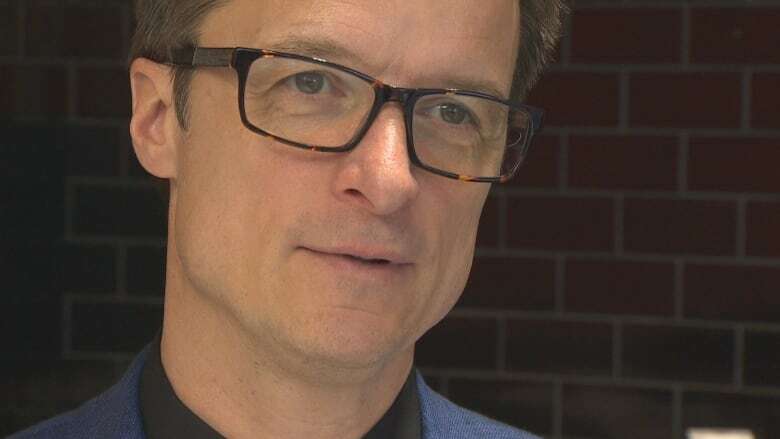 Sylvain Charlebois, a Dalhousie University professor specializing in food policy, said the food guide has an impact on what Canadians eat. 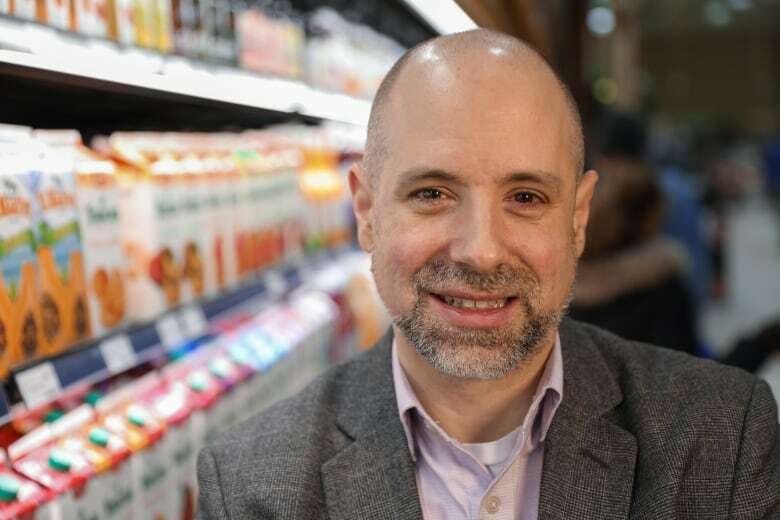 "When you visit faculties or universities where there's a nutrition program or where we train dietitians ... the starting point is the food guide," he said. "It is a conversation starter when it comes to nutrition and diet." As the Globe and Mail reported, the juice industry is fighting to remain part of that conversation, with the Canadian Beverage Association – an organization funded by Coca-Cola and PepsiCo – making its case to federal ministers and decision-makers "more than 50 times" last year. "Canadians are not overconsuming 100 per cent juice," Canadian Juice Council spokesperson Jeff Rutledge said in a statement to CBC News. "Canadians – including children and youth – are already not meeting minimum recommended intakes for fruits and vegetables. 100 per cent juice can play a key role in helping to meet daily nutrient requirements." But the proposed new food guide is actually mirroring existing consumer behaviour. Between 2011 and 2017, market intelligence agency Mintel reports Canadian consumption of juice went down 15 per cent. Food and beverage industry analyst Joel Gregoire said it can be pegged to concerns about health. "Number one I would say is sugar content, and concerns about sugar content," he said. "If you look over time, attitudes toward sugar have hardened." Those attitudes aren't hurting all juice-makers. It's actually helped Toronto juice entrepreneurs Emma Knight, Anthony Green and Hana James. Their Greenhouse Juice Co. is capitalizing on reducing sugary fruits in their cold-pressed juices, and supplementing them – or sometimes replacing them entirely – with vegetables. "In our most popular juices, vegetables really form the core of the juice," Knight said. She said Greenhouse supports the principles of the proposed new food guide, even if it means removing juice. "We would never advocate taking fibre out of your diet," she said. "Juice, as a companion to that, is a really cool way to get more of the nutrients from vegetables into your day." 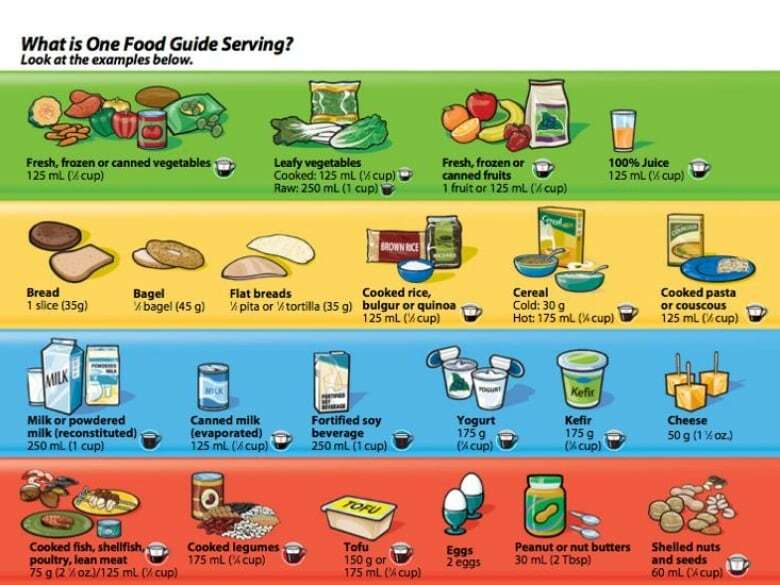 The new version of Canada's Food Guide is expected to be finalized later this year.